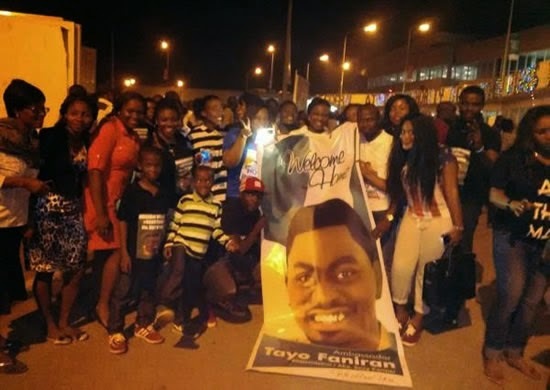 Big Brother Hotshots 1st runner-up, Tayo Faniran arrived Nigeria on Monday night to a grand reception from fans and well-wishers. 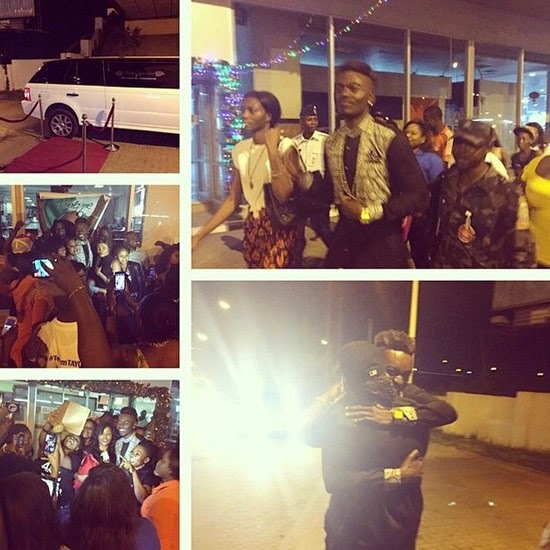 Tayo arrived in the company of his supermodel friend, Tamar, while Tinsel actor Gbenro Ajibade, was also on hand to whisk him away in a limousine. An overwhelmed Tayo said: "Despite the fact that my flight was delayed for almost 3hrs. 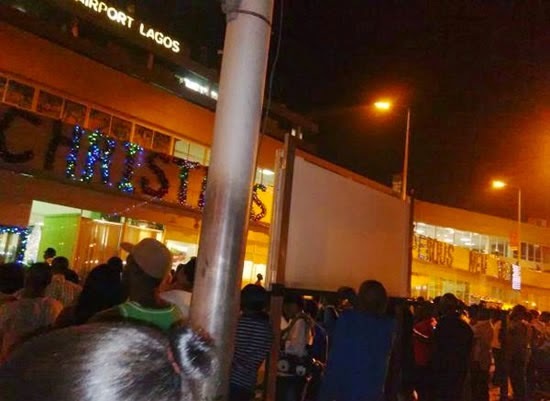 My beautiful fans still stayed at the airport. Wow, I love you all sincerely. Thank you Thank you I wish I can sit there with you guys till day break. I wish I can walk with u guys tonight, but we will see by Wednesday. I love everybody that came out tonight. Thinking about everybody now, and forever. From the bottom of my heart. I say Thank you." He spent most of yesterday doing interviews with different media houses where he reflected on his time in the Big Brother house among other sundry issues. 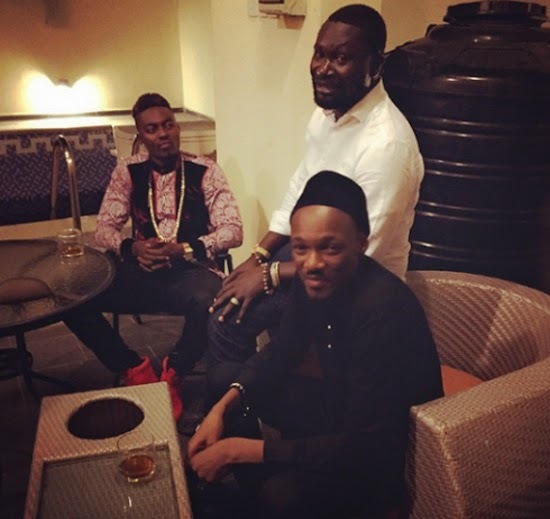 Soon arrangements were made and he met the man himself, the one who was rumored to have offered him $350,000 - Warri billionaire businessman Ayiri Emami, in the presence of 2face Idibia. The ONE ambassador and model was pictured all smiles with Ayiri. We can only hope something good came out of the meeting. 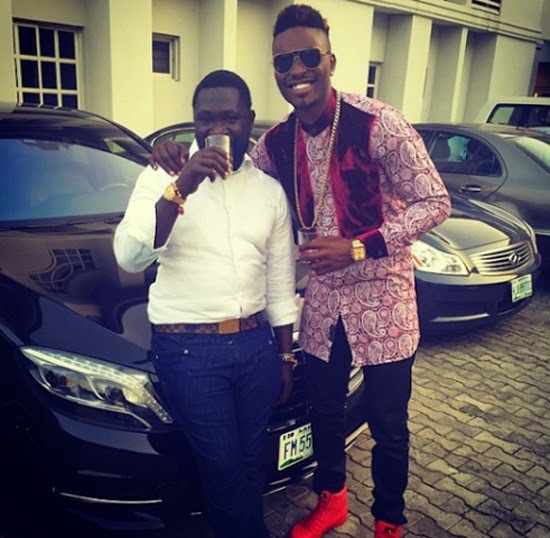 Nigerians don't say what they can not do.Tayo say a big thank you to Biggie,you are welcome to the world of millionaire.rule your world and invite us for the wedding ��.we are proud of your behavior for messing up to get cheap popularity.